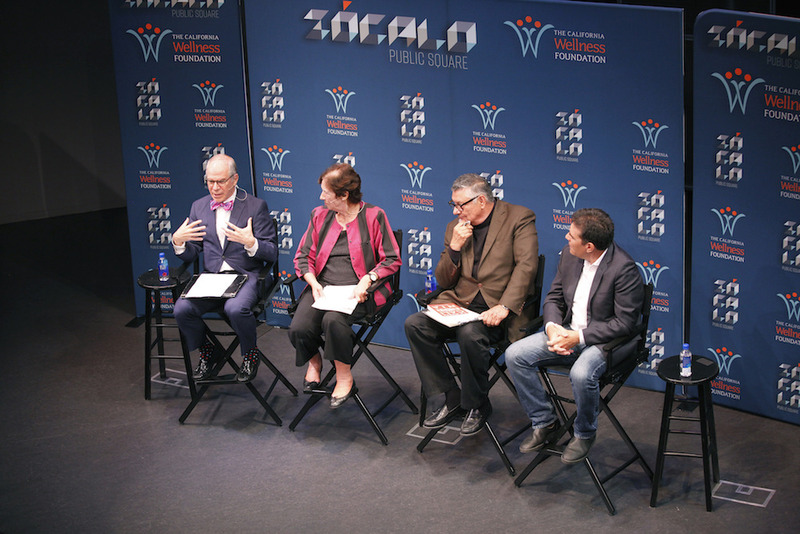 Those timely, troubling questions, among many others, confronted panelists Tuesday evening at a Zócalo/The California Wellness Foundation event titled, “What Are the Social Consequences of Racist Anti-Immigrant Rhetoric?” The discussion took place as verbal attacks on Mexican immigrants and Muslims by President Trump and nativist pundits have escalated relentlessly. Meanwhile, media, academic, and law enforcement reports reveal sharp rises in racist verbal attacks against immigrants from the United States to Italy, and from Britain to Burma. 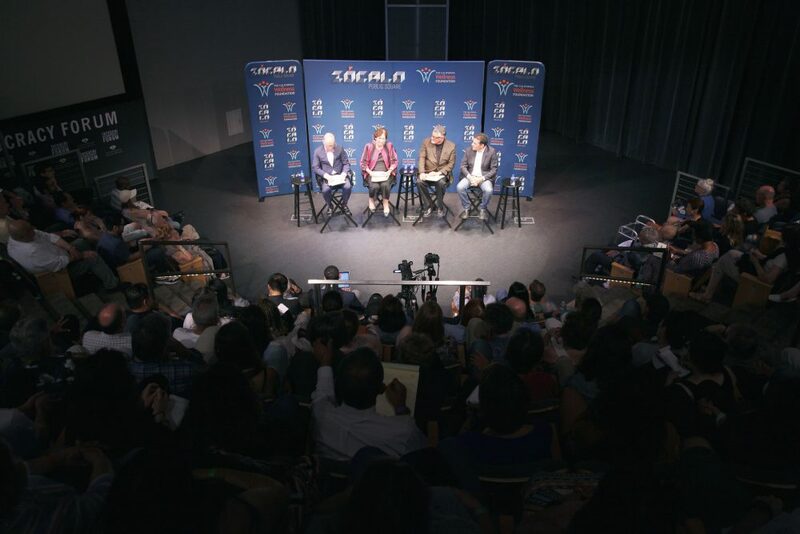 In a wide-ranging conversation before an overflow audience at the National Center for the Preservation of Democracy in downtown L.A.’s Little Tokyo, UCLA psychologist Patricia Greenfield, Los Angeles Superior Court Judge Dean Hansell, and the UCLA School of Medicine’s David Hayes-Bautista examined a wide variety of negative consequences, from stressed-out immigrant children, to nasty divorce/child custody cases, the construction of detention camps, and ramped-up threats—as well as acts—of violence. Responding to an opening question about past anti-immigrant episodes from moderator Simon Romero, a national correspondent for The New York Times, Hayes-Bautista, who directs the Center for the Study of Latino Health and Culture at UCLA School of Medicine, noted that anti-immigrant rhetoric and discrimination has been a recurring theme of U.S. history. Hayes-Bautista explained that, when much of the present-day Southwestern United States was part of Mexico in the early 1800s, slavery was abolished, non-whites were allowed to hold citizenship, and married women had some property rights. Time after time, Hayes-Bautista indicated, the extension of immigrant rights has gone hand-in-glove with the expansion of other forms of individual freedom. When the Southwest territories were absorbed into the growing United States, they virtually overnight enshrined laws enforcing race-based discrimination. For example, the defenders of the Alamo, popularly portrayed as heroic freedom fighters, were actually mainly Southern whites bent on extending slavery into Texas. But, every 20 years or so, there has been a backlash against immigrant rights, including the mass deportations of Mexicans and Mexican Americans in the 1930s, and the passage of Proposition 187 in 1994, which prohibited undocumented immigrants in California from using non-emergency health care, public education and other social services. “It’s really nothing new, it’s just U.S. tradition,” Hayes-Bautista said. 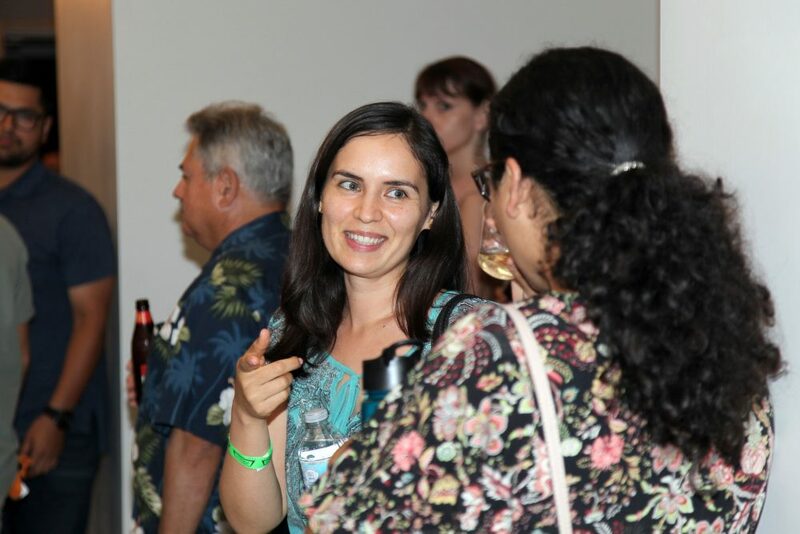 Turning the discussion toward a more immediate example, Romero asked Greenfield, the UCLA psychologist, what effect xenophobic rhetoric is having on children and young people. Greenfield responded by citing a research study that tracked attitudes among a range of sociological groups before Trump’s election in 2016, and in the months following his inauguration. The results were striking. One subject feared that more Americans would feel they had a greenlight to echo racist statements. A gay respondent expressed anxiety that it would be open-season politically on LGBT people. Yet another, a Latino respondent worried about being targeted as a minority, and worried that one of his parents might be deported. An African-American woman voiced concern that she, too, might face intensified discrimination. Romero, the moderator, who did a stint as a foreign correspondent in Venezuela some years ago, noted that under that South American country’s authoritarian regime, judicial independence has all but disappeared. The question was put to Judge Hansell: Is the independence of America’s judicial system beginning to erode under pressure from growing partisan rhetoric? Hansell first noted that certain protocols prevent judges like himself from speaking publicly about politics—which, he said, underscores the importance of keeping the judiciary free of the taint of partisanship. That has become a critical and difficult challenge for local and state court systems in border states like California, where many people who appear before judges may themselves be immigrants or have relatives who are, Hansell suggested. Judges in many types of courts (family courts, for example) don’t inquire about the immigration status of those who come before the bench, which can complicate child custody and other types of cases in which one parent might be facing the possibility of deportation. Romero mentioned that, in countries such as Brazil and Germany there are severe legal penalties for using overtly racist rhetoric. Is it time, he asked the panel, for the United States “to have a discussion” about First Amendment free speech rights that protect even the most virulent forms of hate speech? In response, Hansell noted that many of our most cherished free speech protections arose from cases defending highly objectionable speech, by neo-Nazis and others. Romero then asked about the example being set by the current occupant of 1600 Pennsylvania Avenue, who regularly disparages entire immigrant groups. 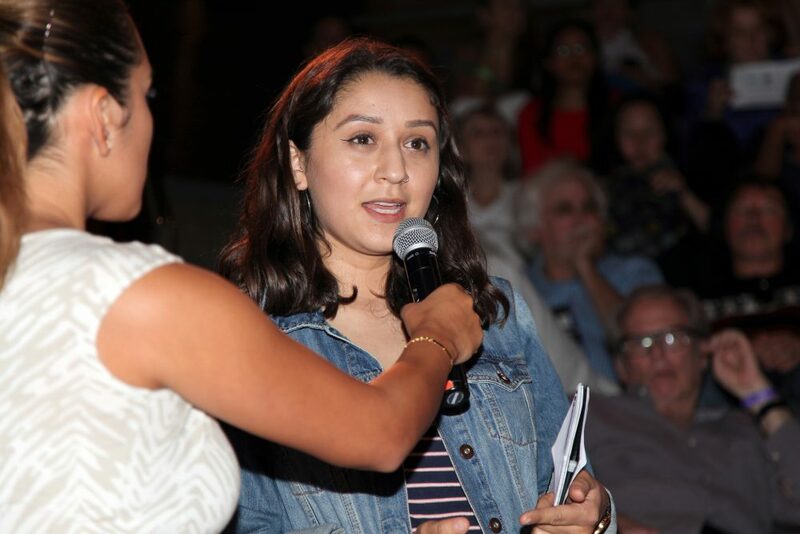 Greenfield cited another research study, of first-generation, first-year Latino UCLA students, 98 percent of whom had at least one parent born in a foreign country. The study, which required students to write about their families and take what Greenfield described as “a simple cognitive test,” revealed that students who took part in the study after Trump became president had lower powers of concentration, and performed worse on the test than students who participated before Trump’s ascendancy. 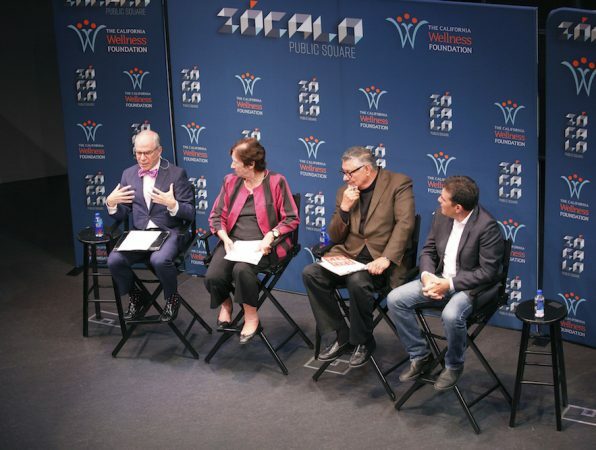 Romero acknowledged that he and many other U.S. journalists currently are wrestling daily with how to characterize the speech of Trump and other politicians. Is it fair to label it flat-out as “racist?” Can the case be made that such a label, rather than passing judgement on intent, is simply being factually correct? Greenfield had no such hesitations, suggesting that such behavior should be called out in no uncertain terms. She described Trump as a “dictator” who has run roughshod over our constitutional checks and balances, and she validated the view of those who believe that Trump suffers from a range of personality disorders. “It’s so clear that he’s mentally ill in so many different ways,” she said. During the question-and-answer period, a community organizer from Long Beach asked, “Where do we go from here? How do we change the narrative” about immigrants? Hayes-Bautista recommended using factual data to refute false narratives, and to demonstrate the benefits that accrue from immigration. For example, data shows that California, one of the nation’s most ethnically diverse states, also is the second-healthiest state, after Hawaii—which is even more diverse. 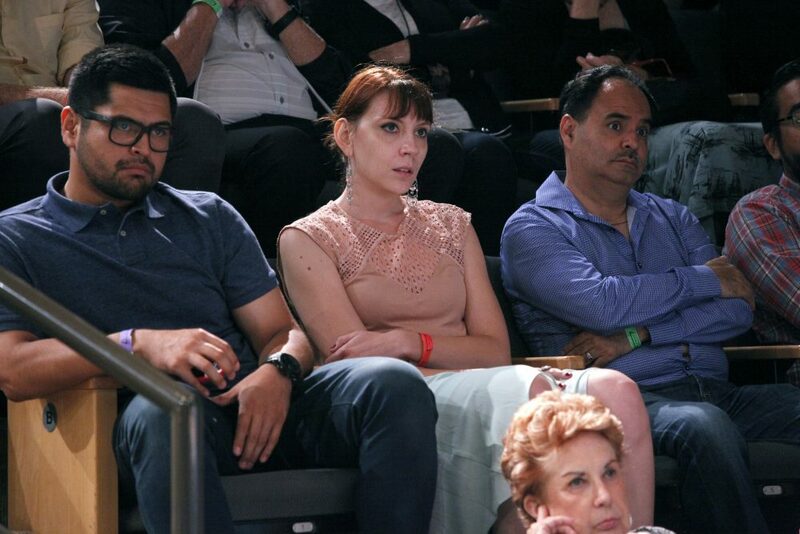 Another audience member asked Hayes-Bautista whether there were any identifiable social forces that have fed these 20-year cycles of backlash against immigrants. Hayes-Bautista said they seem to recur at times when surging immigration coincides with an economic recession. But neither of those things is happening right now, he observed; undocumented immigration levels have been declining, and the economy is booming, to most appearances. As for Hayes-Bautista, a feisty eighth-generation Mexican American, he professed no fears of becoming a target. 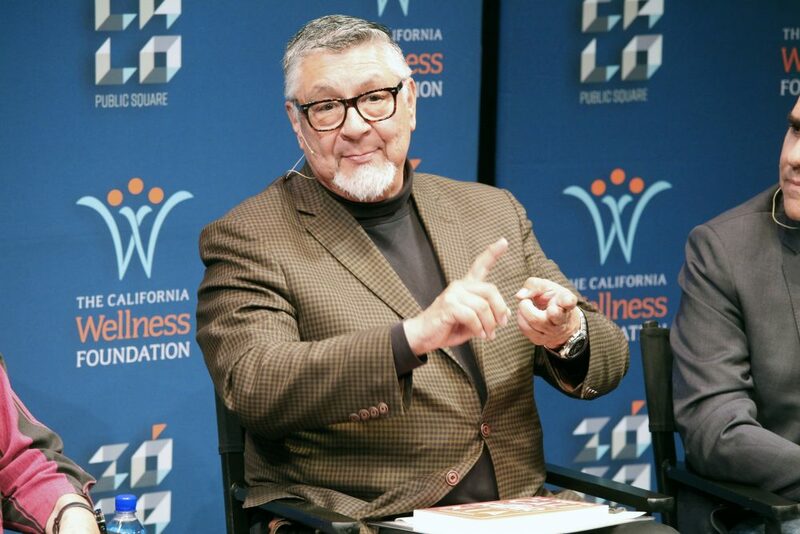 David Hayes-Bautista, Director of the Center for the Study of Latino Health and Culture at UCLA School of Medicine. A standing room only crowd at the National Center for the Preservation of Democracy in Los Angeles. 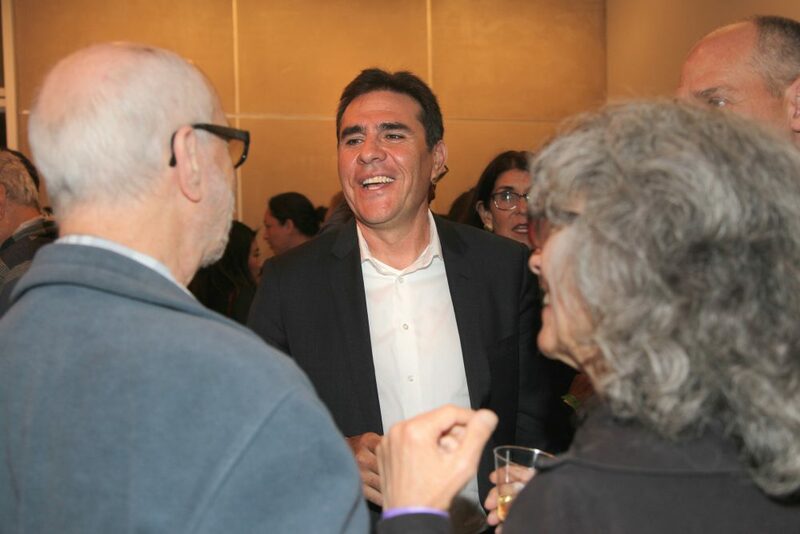 Simon Romero, national correspondent for The New York Times, speaks with guests at the reception.